I , Nasrin Ebrahimi , one of the former members of the people’s mujahedin organization with 10 years record of service of close cooperation with the people’s mujahedin organization , would like summarily inform you of some issues about the people’s mujahedin organization according to your recent speech and support of this group in Villepint in Paris. First , I must declare my deepest regret that it is unbelievable for me such prominent political figure like you who had been the chairman of the advisory council on immigration and integration , 2002-2004, in Germany , had supported the people’s mujahedin organization . I must inform you that the people’s mujahedin organization is known as an inhumane organization , against Iranian people , and against the women’s rights among the Iranian people who have been the victims of pmoi terrorism as well as the dissidents of this organization who had worked closely with this organization for years . 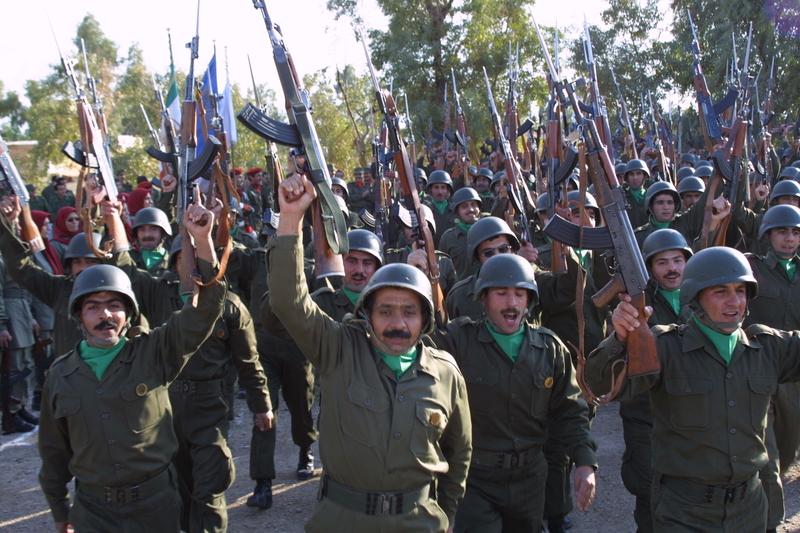 This organization as Saddam’s private army , had served the dictator of Iraq a lot in killing the Kurds and suppression of the Saddam’s opponents in Iraq . You are maybe surprised that why I am calling this organization as ¨¨against the women’s rights¨¨ . Probably you have no idea that Massoud Rajavi , the spiritual leader of this organization , has been using the women in this organization as tools to preserve his leadership power and keep his ideological supremacy and hegemony upon the members of this organization consecutively and forever. Do you know that a great number of women have forcibly taken out their wombs by the direct order of Rajavi ? Do you know that Massoud Rajavi has sexually raped a number of women who are the members of the pmoi leadership council? It is worth knowing that the majority of the members of this organization ,who have been under severe psychological pressures , haven been kept forcibly and misused by the leadership of the organization. Do you know that the people’s mujahedin organization besides that has done hundreds of terrorist operations , has formally and officially supported the Al-Qaida terrorist organization. The people’s mujahedin organization which its anti-American and anti- Iranian content and essence has not been covert and hidden for anyone , after the US-Iraq war and the downfall of Saddam Hussein ,who was the pmoi’s most powerful supporter and backer , the people’s mujahedin organization began utilizing a new wave of deception by using a new policy. 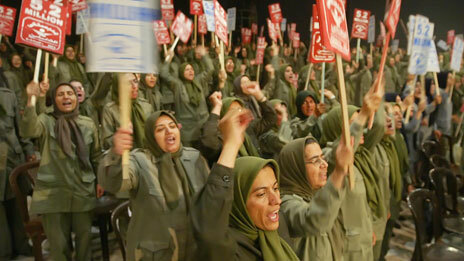 The mujahedin who were chanting anti-American slogans such as ¨¨ Down with USA¨¨ ,and they had different kind of anti -US books and archives and …………etc in Ashraf garrison before the US invasion of Iraq, the pmoi leadership ordered burning and annihilating all those anti-US books and archives, consequently after that there was not any sign of those books and films and ……….etc in AShraf anymore .they began showing themselves as modern organization and pro-USA to whitewash their past and even the killing and assassinating of the US -military advisers in 70,s in American minds. Then they began spending the huge amount of money and making different lobbies to delist themselves from the terrorist list . They began attracting and bringing the refugees and refugee seekers in European countries to their meetings and gatherings by spending money to show that the Iranian people are still supporting them whereas it is very easy to find out through the internet that the Iranian people know this terrorist organization as the factors and the elements of killings and crime and they have not supported pmoi in the past or in the present whatsoever. These shows that Mrs. Rajavi establishes in Paris is to deceive the American politicians and to pretend that as if they have the support of the Iranian people. The people’s mujahedin organization has not renounced and denounced its violent record yet and for this reason every year they commemorate the anniversaries of its different killings and the violence through celebration and banquet . They are still threatening and intimidating their opponents throughout the world and they suppress any kind of criticism severely and violently either inside or outside of the organization. This organization has kept its own members as slave and has not ended the misusing of them and their slavery in Ashraf and Liberty yet. This organization plays with the members’ lives and sacrifice them for the sake of its leadership ominous requests. 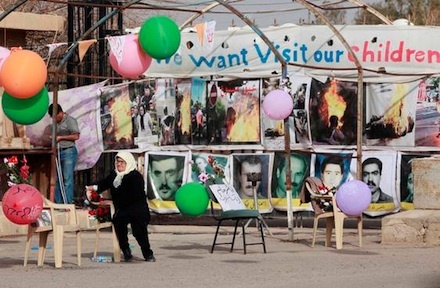 this organization utilizes its own members for the blackmail vis a vis USA and the Iraqi government….. The actions of this organization clearly show that they have equipped themselves just with the deceptive looks and just because they have been disarmed and they do not have any access to the arms , temporarily they do not carry out any terrorist operations but in future they will use any chance and opportunity to carry out their terrorist assassinations and violent deeds. Rajavi was always saying that quote¨¨ Finding arms for this organization is a very easy task¨¨, and they are just waiting to come out of the terrorist list to begin the killings much easier and by less limitation . Delisting this organization from the terrorist list is a treason against the Iranian people and it will pave the way for this organization for more terror , violence and threat against the Iranian and the American people. At the end , I would like to inform you that my friends and I are ready to submit to you more information regarding to the people’s mujahedin organization by more evidence , and documents through face to face meetings or by the mail.